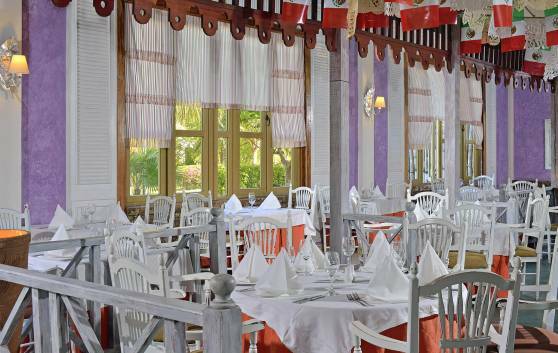 The flavours of Asia merge harmoniously at this restaurant with an exquisite setting. Its name refers to the art of sharing in Asian culture, revered in Cuba as in the rest of the world. 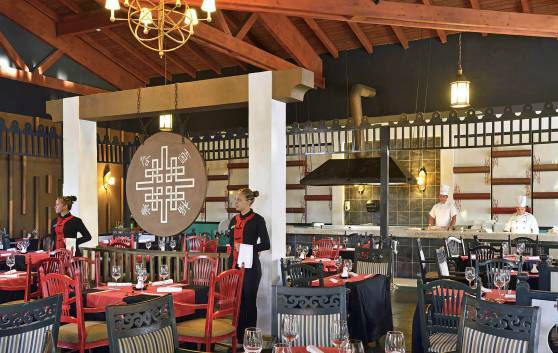 Bana has some nice surprises in store for the palate with its à la carte service, always at night. 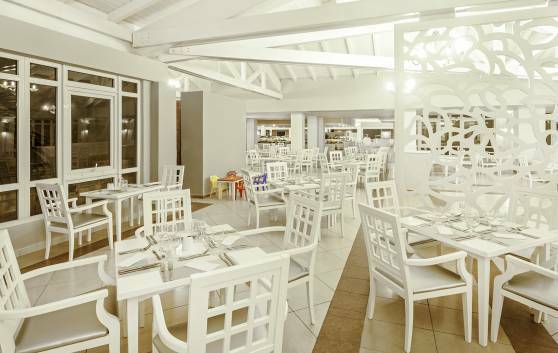 Designed to respond to even the most discerning tastes, this restaurant is a true exponent of the wonders of international cuisine. 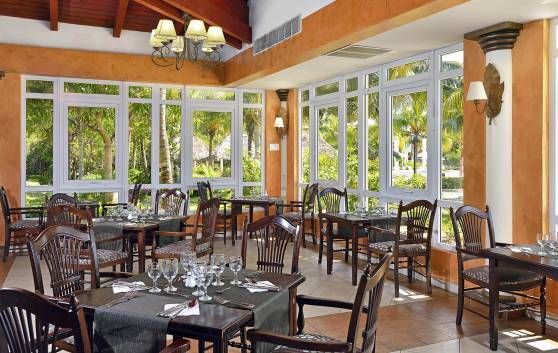 All the wonderful flavors and aromas of the internationally renowned Mediterranean cuisine accompanied by a wide array of wines and beverages in the midst a paradisiacal tropical beach and exuberant vegetation. 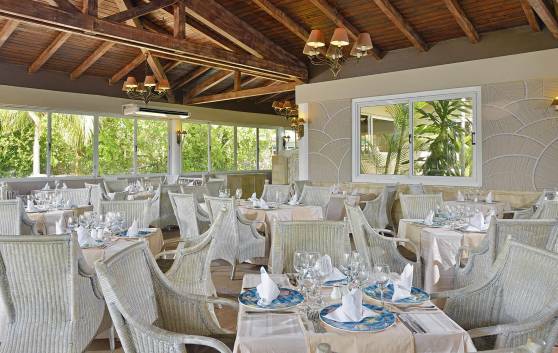 Its elegant decoration, extensive Cuban and international music selection and exquisite culinary offers will enable clients to live the most romantic evening of their life. 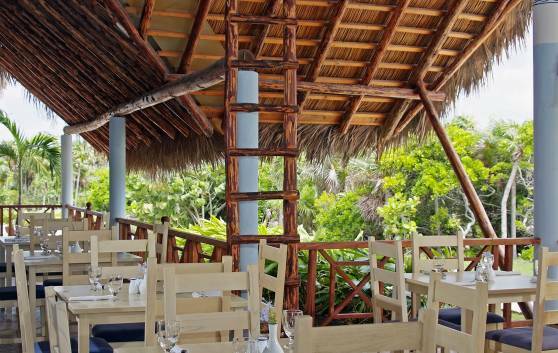 Using native ingredients and traditional recipes, Los Agaves transports us to the world of tacos, guacamole and tequila. Located in the boulevard square of à la carte restaurants and open every day for dinner, when you go there you just have to say: Viva México! 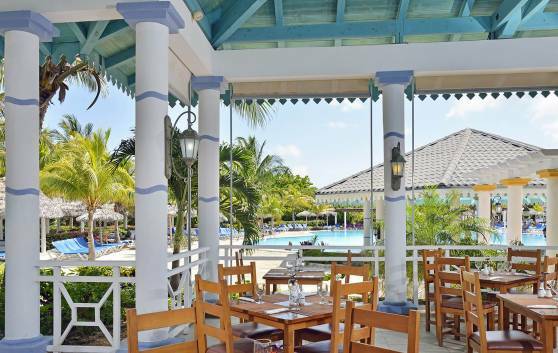 Rustic beachside snack bar, ideal for a short break from the sizzling sun where clients can enjoy a quick bite or an enchanting evening near the sea, lulled by the sound of the breeze as it blows though the mangroves at dusk. 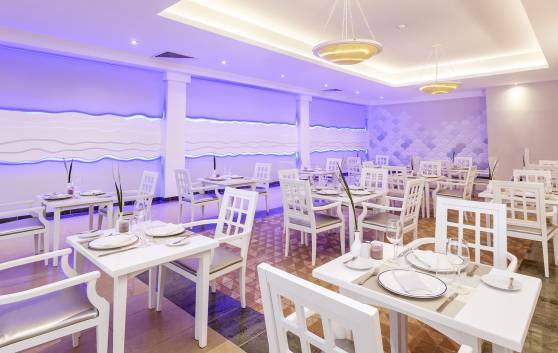 The atmosphere is brimming with mythical legends, whose the personalized service and delicious culinary offer will turn your into a memorable affair. 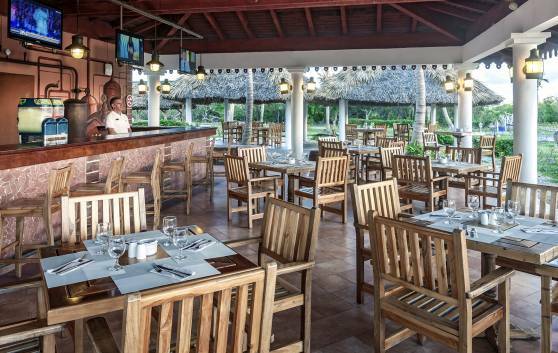 From the simplest to the most elaborate dishes of the mouth-watering Cuban cuisine, including fresh tropical fruits, at this inviting restaurant. 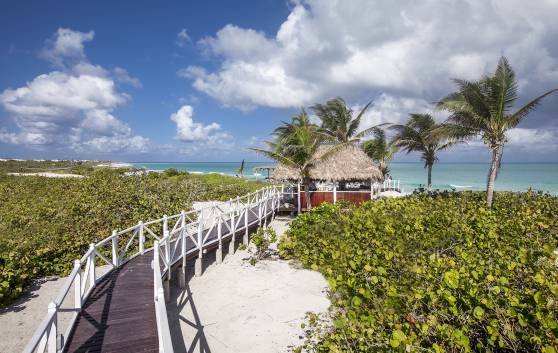 Three bars where you can quench your thirst without having to leave, even for a moment, the wonderful surroundings of a simply perfect beach. 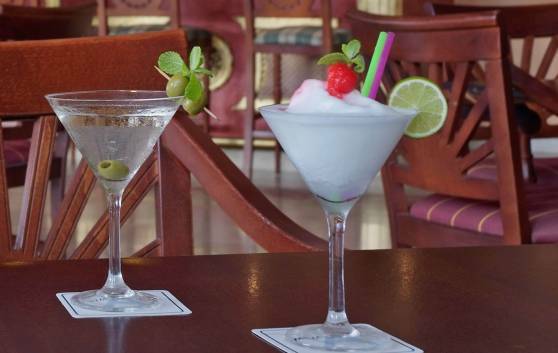 A wide range of drinks available, including cocktails and spirits, served by true experts in customer satisfaction. 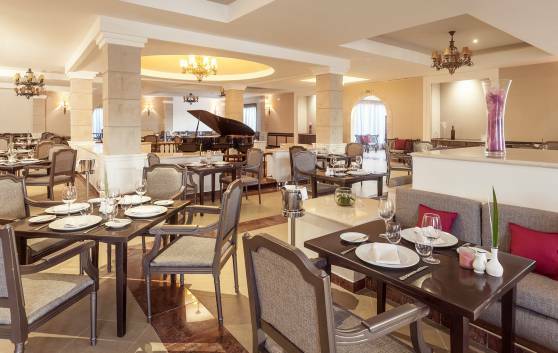 Located in a cozy corner of the hotel lobby, the perfect spot to enjoy your favorite beverage while listening to a beautiful melody in the company of friends or family. 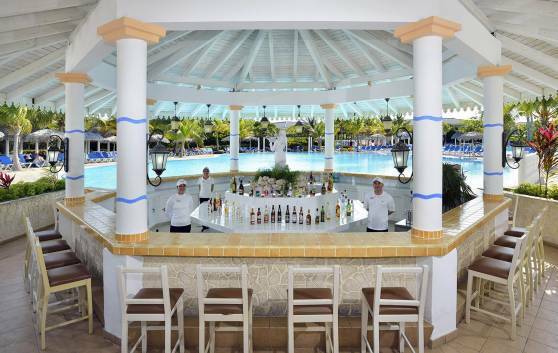 Magnificent Aqua Bar serving bathers the most delicious combinations of refreshing drinks and spirits. Enjoy the tranquillity and intimate ambience of our swimming pool in the resort’s relaxation area. 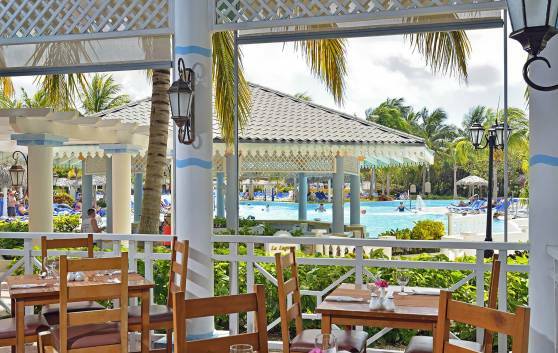 This exciting aqua bar enables bathers to quench their thirst, without having to leave the water as they sip their delicious cocktails or refreshing tropical fruit juice. Coppelia ice-cream parlor offers young and old a wide range of delicious flavors originally garnished. 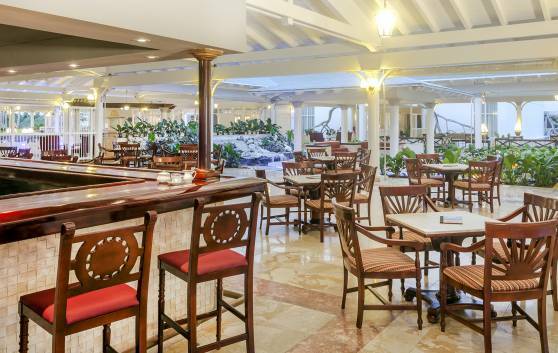 This cozy snack bar set in a romantic tropical setting, offers clients exciting combinations of drinks and mouth- watering gastronomic offers. 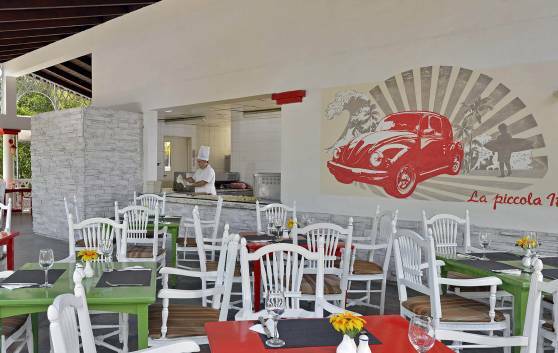 Fantastic ambience for a sharing a delicious pizza with family or friends and prepared just like they do in sunny Italy. Manacas is the ideal spot for a cool beer after a refreshing dip in the sea or walk through the surrounding area. The offer also includes light snacks for all tastes. 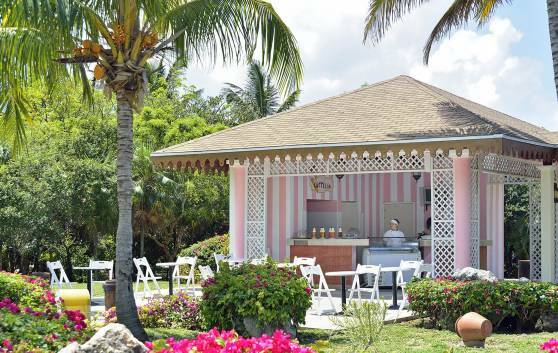 This lively snack bar located in an exuberant natural setting serves refreshing beverages and spirits combined with delicious fast food.